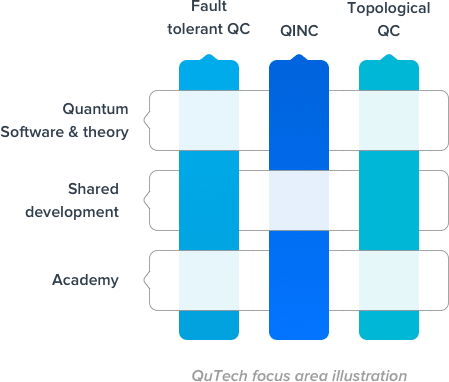 QuTech is an advanced research center for quantum computing and quantum internet, a collaboration founded by TU Delft and TNO. QuTech addresses scientific challenges as well as engineering issues in a joint center of know-how with industrial partners. The management team of QuTech is accountable to a Supervisory Board. Quantum Technology is a key future emerging technology. QuTech is at the forefront of research and development in quantum technology. QuTech currently has three research & technology roadmaps and one partnering roadmap. Additional roadmaps will be developed in the next five years.